More, a magazine “for women of style & substance,” has an unusually thorough, now-available article by Nancy F. Smith in its September issue on A Breast Cancer You May Not Need to Treat. 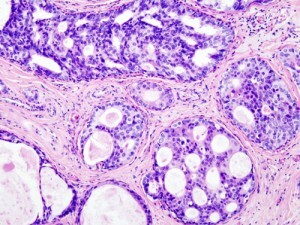 The article’s subject is DCIS (Ductal Carcinoma in Situ). This non-invasive, “Stage 0” malignancy of the breast has shot up in reported incidence over the past two decades. It’s one of the so-called slow-growing tumors detected by mammography; a woman can have DCIS without a mass or invasive breast cancer. While some people with this diagnosis choose to have surgery, radiation or hormonal treatments, others opt for a watchful waiting strategy. The article quotes several physicians, including oncologists, who consider the surveillance approach favorably and otherwise. In 2009 the NCI sponsored a conference on diagnosis and management of DCIS. The participants issued a helpful, albeit technical, consensus statement. The bottom line is that optimal treatment for DCIS remains uncertain because doctors don’t yet know the natural course of this early-stage breast malignancy. The ClinicalTrials.gov website lists active and ongoing studies. Book Review: Is Empathy Learned By Faking It Till It’s Real?